The River Street Café in the Thunder Bay 55 Plus Centre is looking to add to the team! 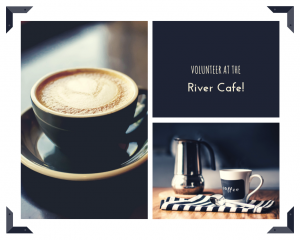 We have an urgent need for Saturday morning Café volunteers. There will be training on how to use the cash register and for any set up that is required. Volunteers will need to fill out a volunteer application form and attend volunteer orientation.